Chris Wojtowicz, City of Virginia Beach Project Manager, will be attending the Monday January 13th Cape Story by the Sea Civic Association general meeting to provide an update and to answer questions regarding this major 3 year project. The general meeting will take place at 7:30pm in the Virginia Beach Resort Hotel and Conference Center. How will 3 years of construction impact Shore Drive? How many lanes of traffic will be maintained during construction? 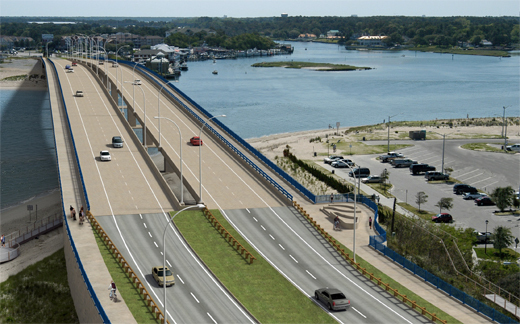 What will the new bridge look like? Will pedestrians be allowed to cross the bridge during construction?